Additive Manufacturing (3D printing) is nothing new to Bastech. In fact, since the early 1990's as the first stereolithography machines were being commercialized, Bastech has utilized Additive Manufacturing technology in more ways than can be imagined. From highly accurate, functional prototypes for the automotive industry to complex investment casting patterns for end-use aerospace components. The list goes on. 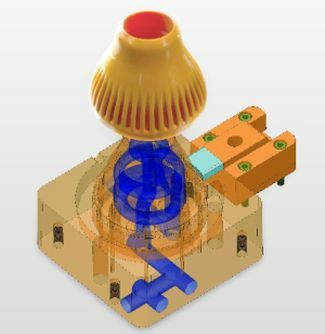 Complex conformal cooling channels created with the comprehensive mold design toolsets of Cimatron™ led to a 14 percent reduction in cycle time and 16 percent reduction in overall costs. Recently, Bastech used 3D Systems' end-to-end 3D solutions to introduce a new level of simplicity, efficiency and economy to its conformal cooling mold-making process. By combining the tailored mold design toolsets of Cimatron™ with the flexibility of the ProX® DMP 200 for producing complex metal geometries and Geomagic® Control™ for quality inspection, Bastech was able to reduce design time by 70 percent, cycle time by 14 percent and overall costs by 16 percent. In the manufacturing industry where success is a delicate balance of efficiency, cost and quality, these benefits give Bastech a clear competitive advantage. 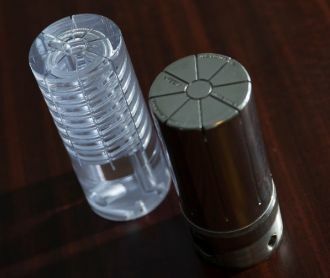 A Bastech mold core insert with conformal cooling channels prototyped using 3D Systems' Stereolithography (SLA) technology and printed in maraging steel on the ProX® DMP 200. Well versed in traditional as well as additive methods, Bastech recently performed two benchmark tests for manufacturing molds with conformal cooling channels -- one using 3D Systems' end-to-end solutions, and one using conventional processes. The Ohio-based firm found that using 3D Systems' Cimatron mold-making software, the ProX DMP 200 3D printer and Geomagic Control led to a quantifiably more productive, affordable and streamlined manufacturing process. End-to-end digital workflows are transforming the field of manufacturing.